Rubik is apartment pricing software for residential real estate investors. Our AI-powered algorithms have been scouring millions of New York City past sale records, uncovering a market ripe for investment opportunities. Surprised? We weren’t because this $1.5 trillion asset class in New York is highly outdated and lacks data-driven investment decisions. Whether for rental investment purposes, appreciation, or even arbitrage through a quick buy and resell, there are opportunities to capitalize on mispricing. Let’s show you some results from predicting the selling price of over 5,000 active listings in greater New York City. 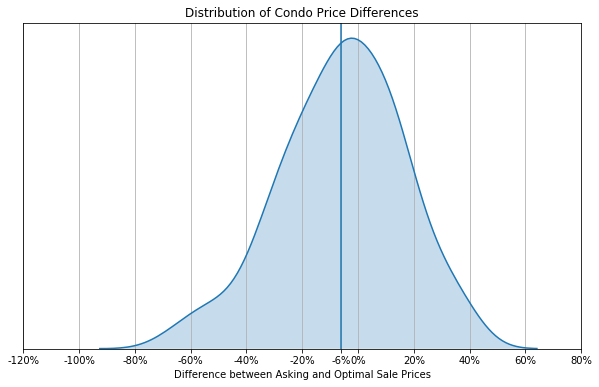 Condominiums are on average underpriced, listed at 6% below their optimal selling price. Considering the current average asking price of $1.7M, sellers are failing to capitalize on over $100,000 per sale. 59% of all condos are listed at one-fifth lower than their potential selling price. 1,000+ listings are priced at 14.6% above their expected selling price. Here are some neighborhood extremes surfaced by the Rubik algorithm. Multiple studio units in Brooklyn Heights are listed at 17.2% below their optimal selling price. Brooklyn Heights is the neighborhood with the greatest discrepancy between optimal selling price and listing price, with condos listed at 10.4% below their optimal selling price. One-bedroom condos in Midtown are listed at 16.3% above predicted selling price. Find this summary interesting? Contact us to learn more about how we can help you unearth your next residential real estate opportunity at [email protected].